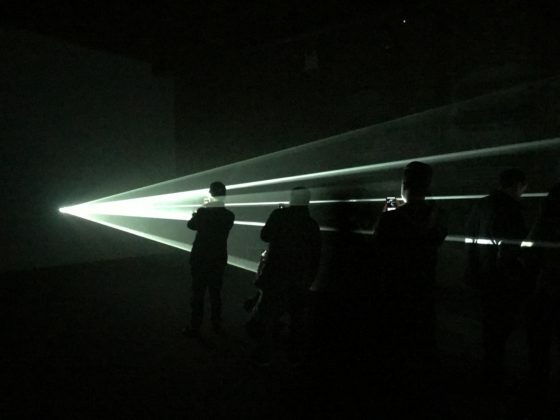 RED HOOK – New York-based artist Anthony McCall‘s current exhibition at Pioneer Works marks his first large-scale institutional show in NYC as well as the first time a group of his vertical and horizontal light installations has been shown together. Solid Light Works has been drawing massive crowds to Pioneer Works since the exhibit opened on Friday, January 12. 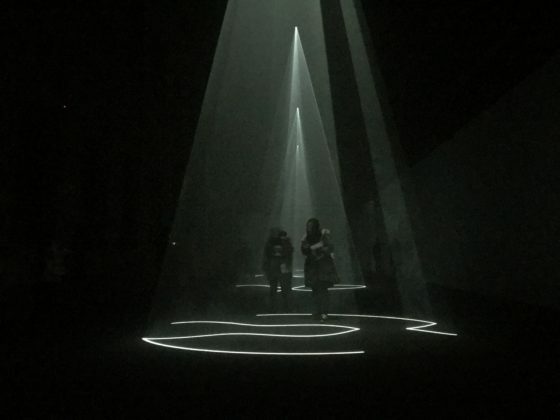 Due to the show’s popularity, Pioneer Works has extended its weekend hours for the duration of the exhibition. 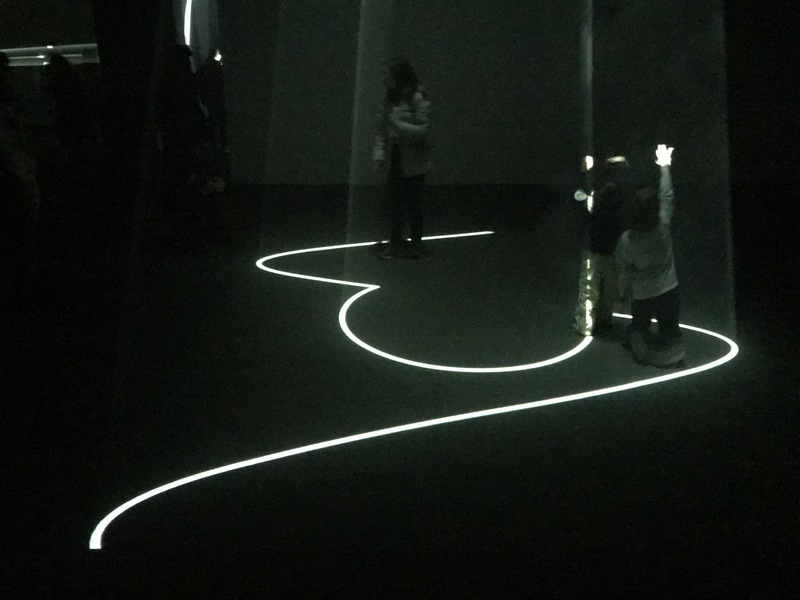 Pioneer Works’ decision to extend their weekend hours was an immediate response to accommodate everybody excited to see Solid Light Works. 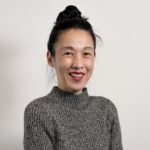 “We feel that having later hours will help to build an audience of working people who could integrate coming to Pioneer Works more easily into their lives,” Florenz added. Created between 2003 through 2010, the six monumental pieces on view require over 30 feet of clearance from floor to ceiling in order to be displayed, a prerequisite that makes it difficult for many venues to exhibit the artworks, let alone a series of six. 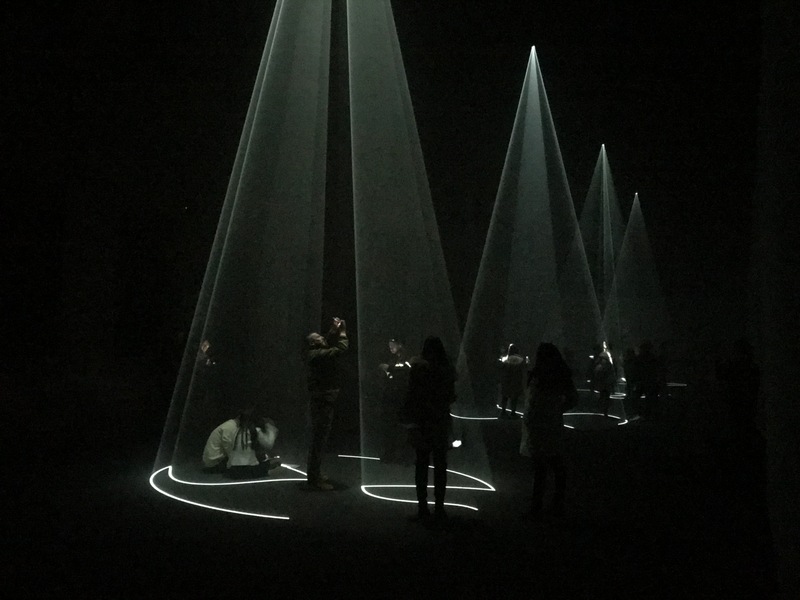 Pioneer Works’ massive 130-foot main hall, completely blackened out and filled with haze, easily accommodates McCall’s four vertical and two horizontal works. 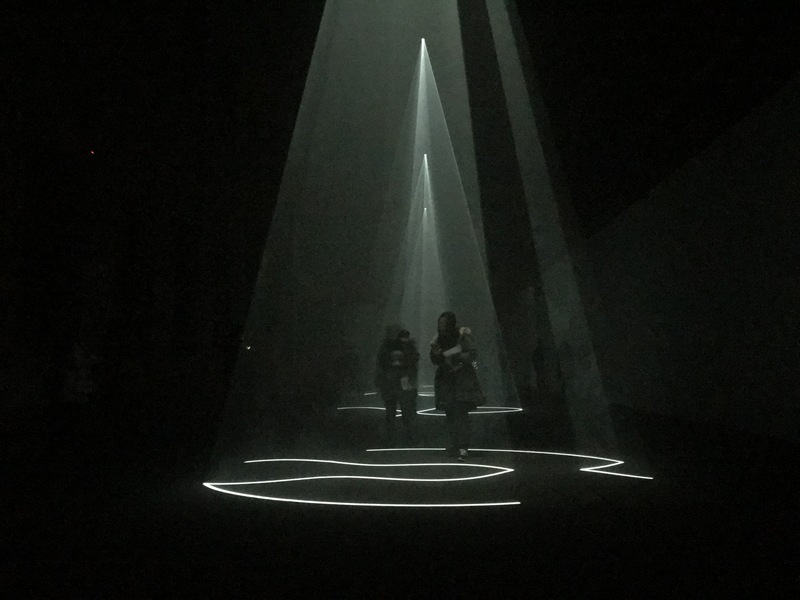 Visitors first enter a large darkened room illuminated slightly by four beams of white light projected down from the ceiling, each creating a diaphanous, teepee-like form in the air and a solid pattern on the floor. 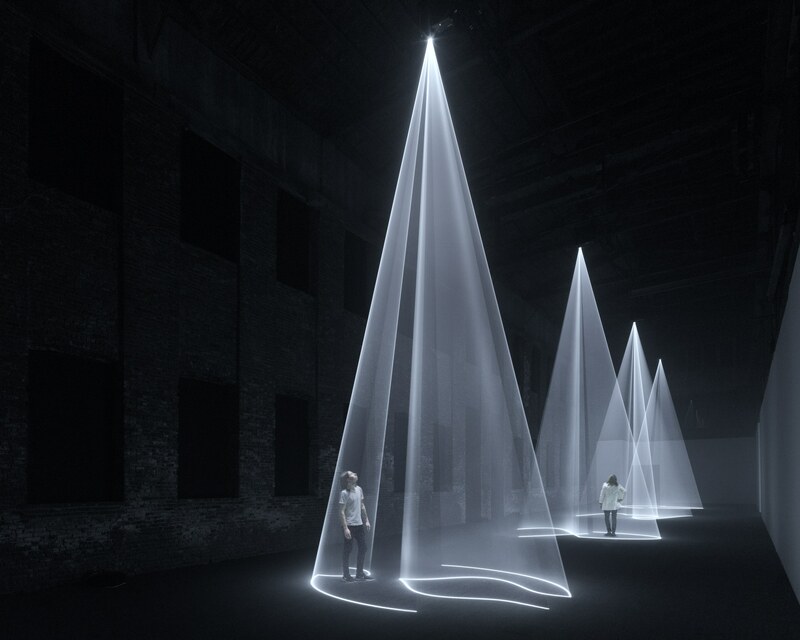 Two separate galleries off to the side each display a horizontal piece, projecting a bright flash of light from a corner, sending vibrant rays across a darkened room, and emblazoning a wall with an intricate mark. Each of the works gradually and subtly moves, evolving over time. The effects are ethereal, haunting, and otherworldly. Born in England, McCall studied graphic design and photography at Ravensbourne College of Art and Design. After moving to New York in 1973, he created the first of his “solid-light works”—a 16mm film entitled, Line Describing a Cone, in which a “volumetric form composed of a beam of projected light slowly evolves in real, three-dimensional space,” according to the exhibition’s press release. 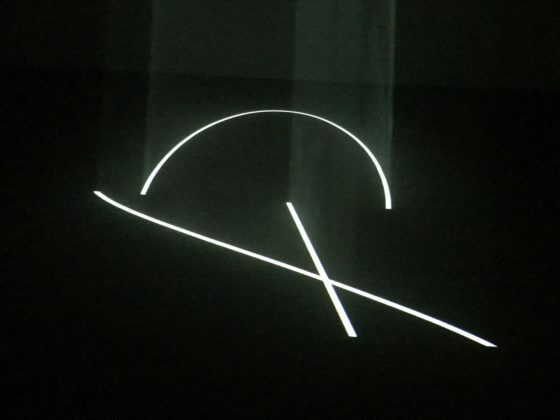 McCall describes his works as “occupying a place somewhere between sculpture, cinema, and drawing: sculpture because the projected volumes must be occupied and explored by a moving spectator; cinema because these large-scale objects are not static, but structured to progressively shift and change over time; and drawing, because the genesis of each installation is a two-dimensional line-drawing,” the release reads. To accompany McCall’s Solid Light Works, the artist has enlisted the help of a frequent collaborator, the composer and musician David Grubbs. 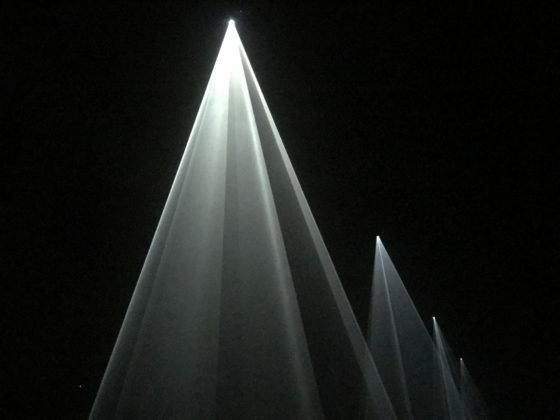 Grubbs said images of the artist’s vertical light works “seemed like soloists” to him. During each performance of Four Simultaneous Soloists, four musicians will improvise beside one of the vertical works he/she has been paired with. “You can’t stand in one place and hear it all—you have to move around,” Grubbs told Art News. 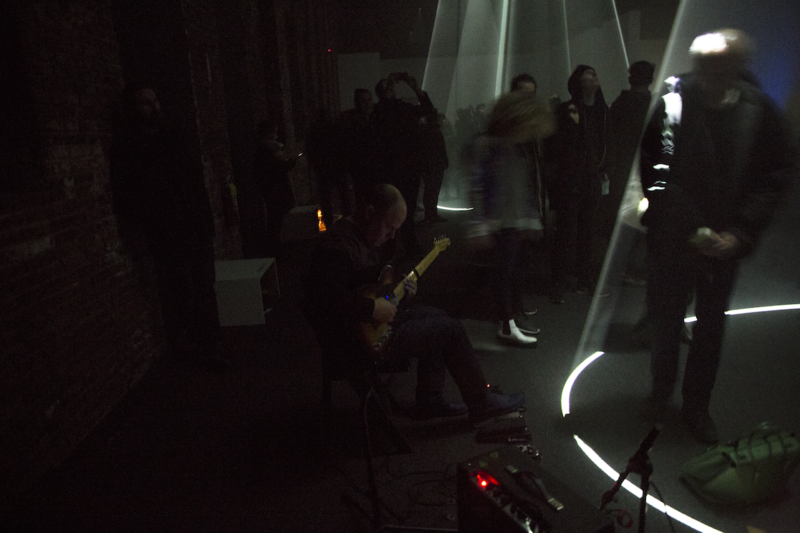 The musical accompaniments will be performed on four Friday nights during the exhibition’s run: January 19, February 2, February 16, and March 2. Tickets ($15, general admission) are selling out quickly for the performances. See the full lineup and purchase tickets for Four Simultaneous Soloists here. 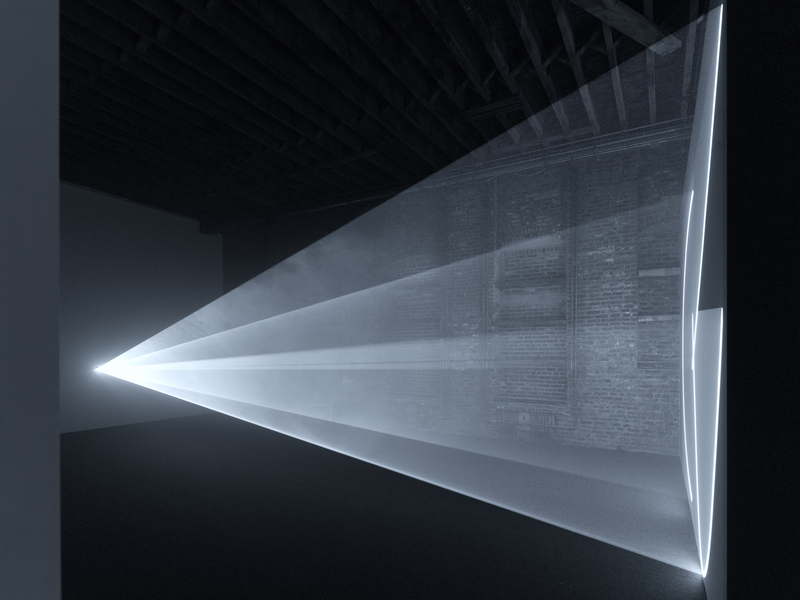 Learn more about Anthony McCall’s Solid Light Works at pioneerworks.org.